When your a busy parent like myself it can be hard to keep track of things such as school events, medical appointments, trips etc. In this day and age many people rely on computers and mobile phones to schedule their lives and events; but what if these electronic devices fail or break or get lost or stolen? Without a back up your precious notes and dates are gone. Even if the worst does not happen , if you are not a computer savvy person then small files can easily become lost or accidental deleted. Many people think diaries and calendars are old fashioned or a thing of the past and some e be see them as plain or boring. Well I have to disagree as I was recently asked by Personal-Planner to create my own planner and they are certainly not plain. The name speaks for itself as the planners are definitely very personal and unique. Firstly you are given 4 size options for your planner: small, medium, large and the one I chose A5. 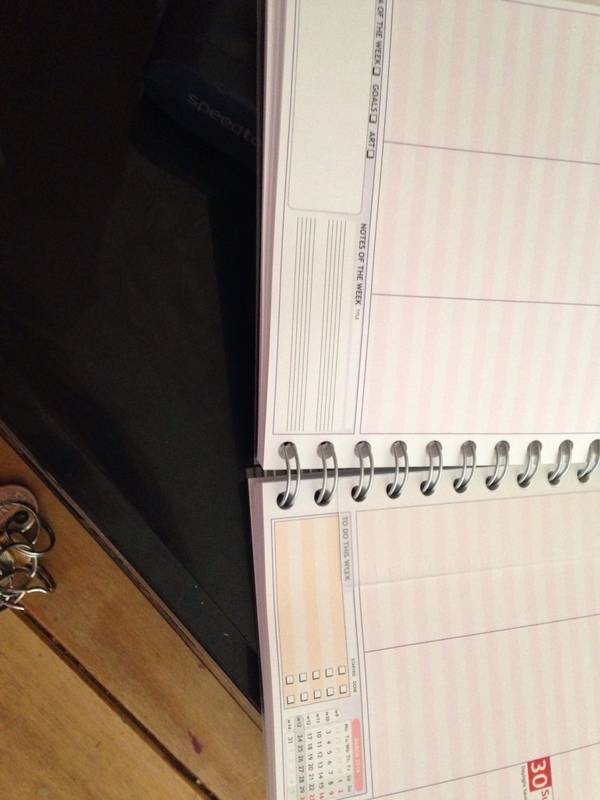 You then have an option to create your front and back covers which makes the planner extremely unique to yourself. This was really fun to do. There are lots of colours to choose from if you want a plain coloured cover with some personalisation on (your name/ year etc) you can also choose colour of your text. There is another option which I chose and that's to have photographs or pictures of your choice on the covers. This is what I chose both for front and back. 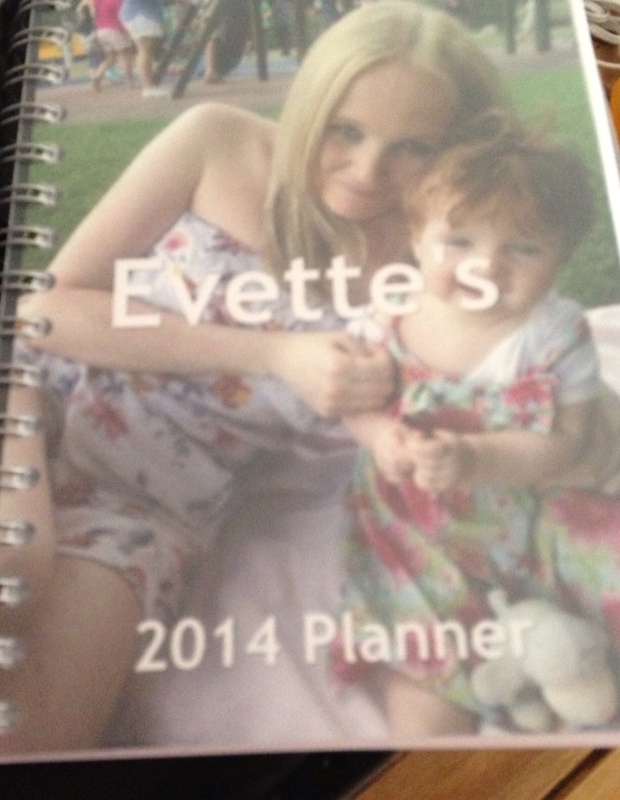 You can also choose where to place your personalisation and when your planner starts (month and year). The planner comes with protective plastic binders both at front and back to protect your front page from dirt and tears. Once you have created your first/last page options its then time to get creative inside. You can customise your pages to suit by inserting lines ( with or without colour) plus choose a design which is like a cool patterned banner at top of pages. 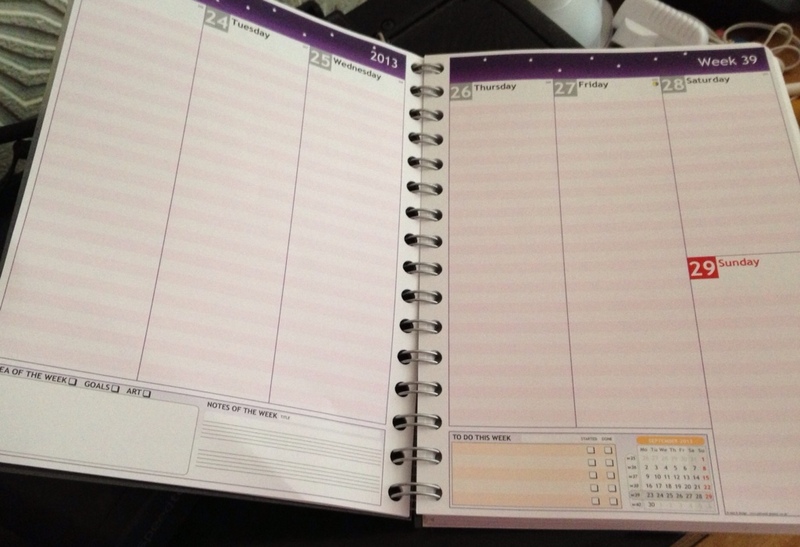 I chose a lovely purple starry theme and opted for pink ruled lines in the day columns. You can have different languages too if English is not your first language and have inputs within the columns for weather and work outs. If you wish you can even have special dates such as relatives birthdays per inserted for you meaning no need to forgot those special dates. I had all my children's and families in mine. I think this is a very special touch to it. A further option if you wish is to add modules to each page, you can have up to three modules which appear at the bottom of the daily columns. The modules to choose from include things like ideas, notes, graphs, work outs, blank sections and things for teachers too. Once the yearly planner pages are complete there is another whole section of back pages which again you can choose to suit your needs. These back page options include yearly overviews with important dates, address lists, maps, sudoku, colouring pages, blank pages and lots more. 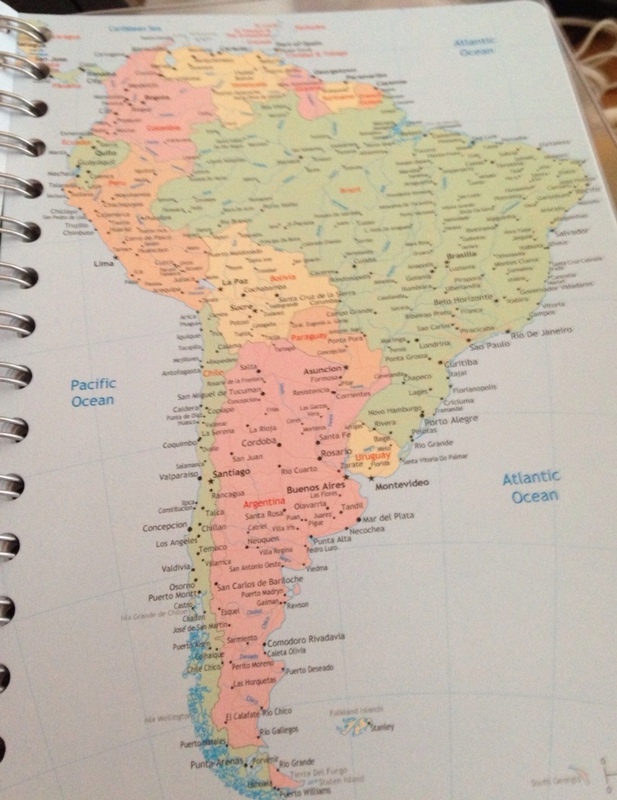 I chose a yearly overview followed by maps as Ryan loves finding out what place is where in the world, followed by lots of blank pages for notes and doodles. Lastly there is an owner info page where you write a short bit of text along with your details just incase your precious planner should become lost and this is inserted as the second page. You can even choose to have a small plastic ruler too and an elastic cord binder to find your page which you choose the colour of. I absolutely love my new planner. 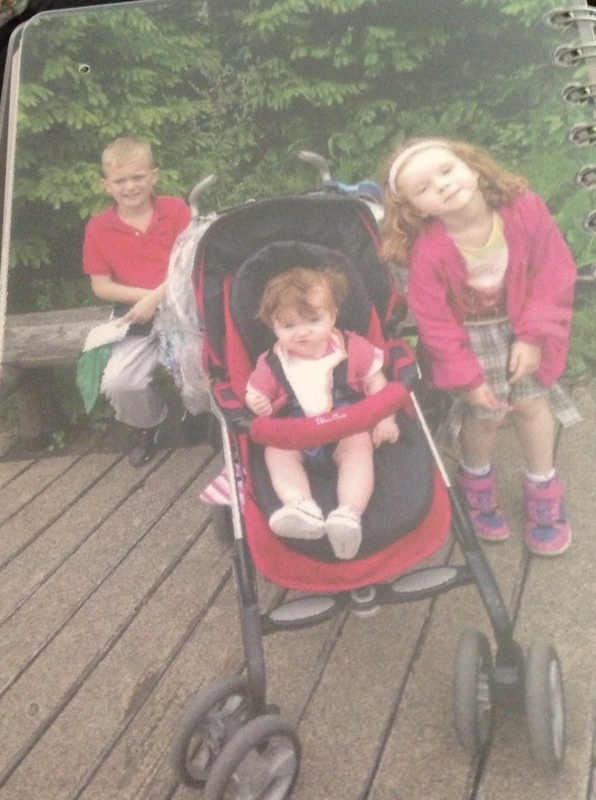 It is so personal to me with my name, children's photos and per inserted special dates. The planners vary in price deepening on which size you choose and all e above options I mentioned are available with every size. Prices start from £14.95 and they take approximately two weeks to be made. They would certainly make a great personal Christmas gift. One lucky blog follower will win their own personal planner and will be contacted with a code to create their own however they wish. To be in with a chance of winning this great prize, just follow the steps below. My kids birthdays, that way everyone will be able to celebrate. My son’s birthday, so he doesn’t have to go to school! We need one between end of August and Christmas, Perhaps October, just to get us ready for the spending season. On 12th May every year – it’s never a holiday on my birthday! One in autumn, so we could have a lovely autumnal family picnic. The day after the clocks go forward so I could catch up on my sleep!! I would make 13th September a holiday as it’s international chocolate day! I’d add it on the 3rd January … to give an even longer ‘New Year’ break! I’m afraid I’m going to have to (predictably) choose my twins’ birthday, so that we’d be free to celebrate as a family! i think we should have an extra holiday around February so we can recover from Christmas. I would choose an extra one some time in the Autumn where there isn’t one! on mine and my brothers birthday!!!! I would have a bank holiday in February, to get us through to Easter and we would celebrate pork pies as I am from Melton Mowbray! July For my wedding anniversary which is also my sons birthday! I follow on twitter and have tweeted. I would make St. David’s Day in Wales a bank holiday! Because he is our national Saint, but also because there is such a long time from the Christmas festivities until the May bank holidays that this would be a very welcome one!